My name is Linda Lyons and ever since I was a young child I have had a passion for art. After studying art in college and enjoying working in a multitude of mediums, I began to cultivate my passion into works of art I have been inspired to create.I began experimenting with polymer clay and created simple charms and ornaments in 2011. I was drawn to create three-dimensional creations after studying the works of OOAK (One Of A Kind) doll artists and working with techniques of other renowned clay artists.Recently I have started creating dolls in paperclay. 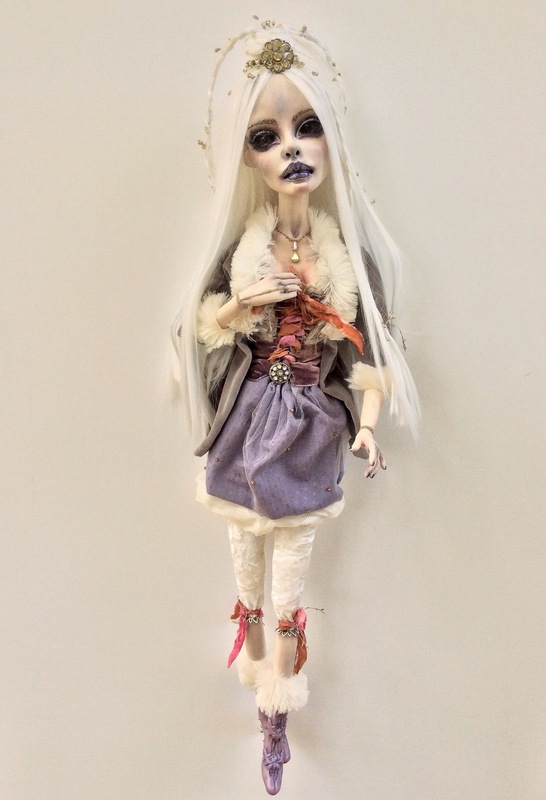 I enjoy working in both polymer and paperclay and creating and developing my stylized dolls. I am constantly learning and love creating and sewing the outfits for my dolls.The coming to life of each finished character has helped my style to evolve. In the future, I look to inspire others with my creations and bring joy and happiness to those who appreciate one of a kind art dolls. I have been showing my work in galleries across the nation this past year. I am so grateful to the galleries and those who have shown my work, collected my work and those who will collect my work in the future. 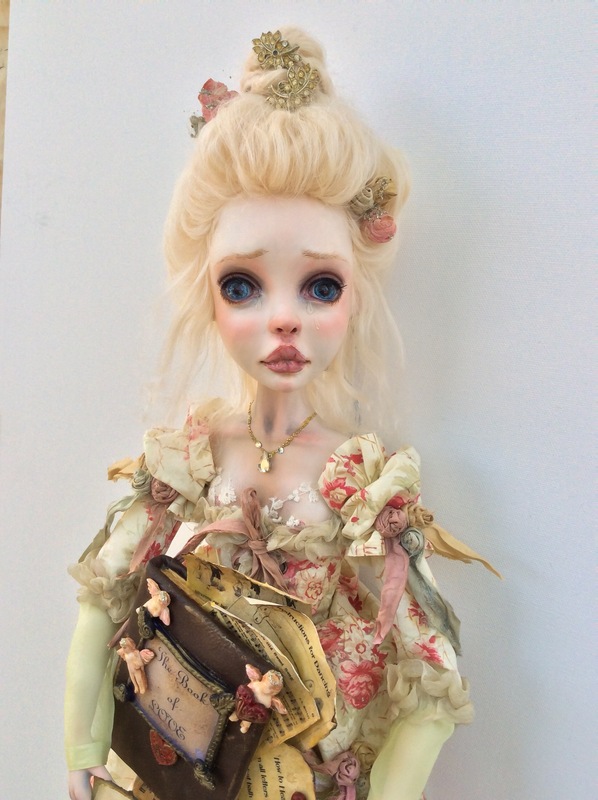 I am also honored and grateful to Art Doll Quarterly for Publishing three of my pieces.